Different seasons have qualities all their own and each outstanding. Want the best weather, most salmon species and reliable whale viewing? All of the above occur in the summer. Morning temps are mild and by noon you’ll be in shorts. The summer also has the salmon migration in full swing. 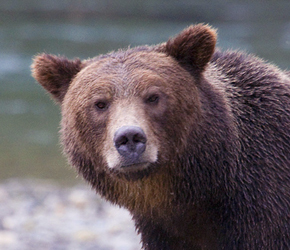 In early spring, the Chinook population will follow the annual herring spawn into Bute Inlet. This majestic 40 mile inlet with Stuart Island at the southern mouth is one of the most beautiful fishing experiences in the world. 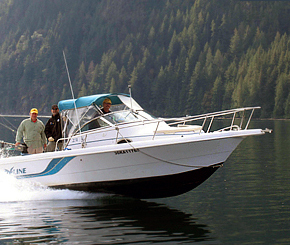 Dramatic cliffs as high as the inlet is deep (1/2 mile in spots) surrounds your boat as you fish. And so remote, most days you’ll only encounter other Nanook boats in the inlet. Nanook Lodge has specialized fishing the local inlets for decades with huge success. 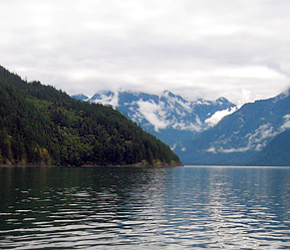 Experiencing Bute Inlet first hand can be described as seeing one of the world’s finest natural wonders blending temperate rain forest and Pacific Ocean coastal shores. Only 400 yards from Stuart Island, mainland North America’s remote inlets provide hundreds of miles of ocean shoreline to fish and wildlife to view. In the spring Bute, Ramsey and Toba Inlets are the feeding grounds for abundant Chinook populations prior to their migratory march home. Bute Inlet is directly west of Whistler/Blackcomb Ski Area, home of the 2010 Winter Olympics. A variety of mature and younger Chinooks aggressively feed on the abundance of bait fish (herring) found in the inlets. Average mature fish will weigh 10-15 lbs with Tyee’s (30+) available too. These powerful feeders provide great runs and acrobatics when hooked. An uncommon phenomenon in these inlets is “white fleshed” Chinook.